Jackie Fo: BACK TO THE REAL WORLD! Well, I have just begun to recover from my vacation haze of sun, sand and dacquiris! Jamaica was too fun for words, so I will share my trip with pictures! 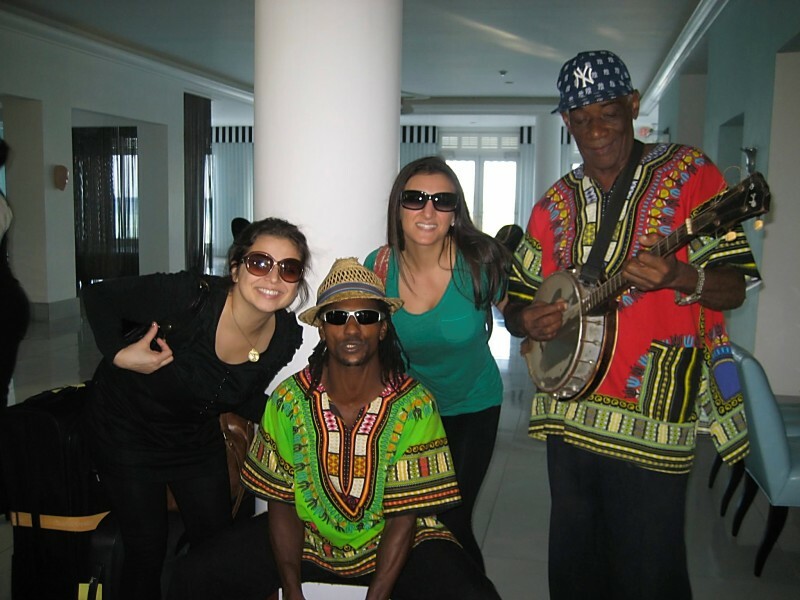 We were greeted in the hotel lobby by some authentic Jamaican musicians. There were beautiful ocean views. We had some fun times in the piano bar. I totally rocked out with my amazing voice. I had to turn down a few record contracts while I was there. Johnny Rockets found some coconuts. We ate some delicious food. We even managed to celebrate my 28th birthday! As if I would let anyone forget about my favorite day of the year. I hung out with Mike Tyson. Not really, but this guy looks exactly like Mike Tyson! Mr. Fo called him "Tike Myson." At the very least, he can balance a bottle of liquor on his head, which is just awesome. 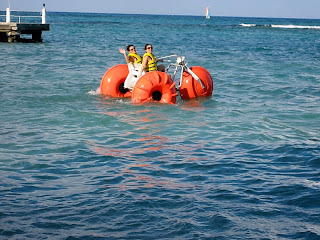 We rode some huge bikes in the ocean. Not as easy at it looks by the way! We snorkeled. This was a big deal for Cousin Lauren as she hates fish. See how much fun it is to be forced to do something?! 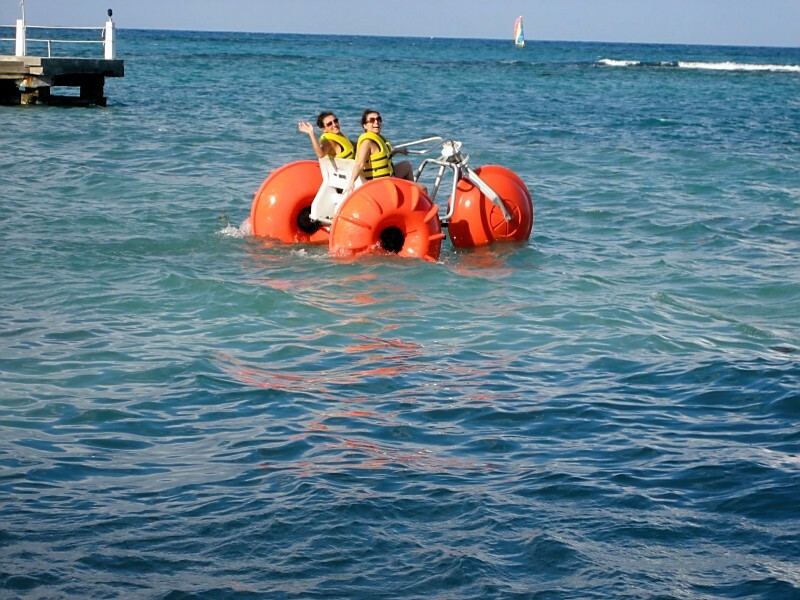 BTW, I think we can all agree that snorkel gear is NOT my best look. Double Cousins Forever! If you don't have a double cousin, I suggest you get yourself one. And of course, beach time with Mr. Fo. 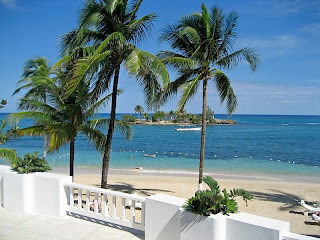 I had SO much fun in Jamaica, and it was the perfect way to spend my birthday. And for those of you that were curious, there was no Thanksgiving food, but it was fine with me! I had a great Thanksgiving without it! Come back this week as I have lots of great posts coming up! Happy Birthday! And that Tike Myson name is just too funny.